Army leaders, academic researchers and industry experts met this past week for Army Training and Doctrine Command’s annual “Mad Scientist Initiative.” The initiative has looked at disruptive technologies, fighting in megacities, smart installations and human-robot pairing, with some of that work contributing to new approaches in how the Army prepares soldiers for future scenarios. This most recent event focused on learning. Though not the most lethal of topics, experts quickly demonstrated how the soldier of the future will have to learn a vast amount of information at the right point in time and in the correct way for it to be useful. Lee Grubbs, director of the initiative, told Army Times that key aspects of the future operating environment will likely see soldiers more connected in a faster threat environment. For that reason, information is going to be exponentially higher and flowing more quickly to soldiers and commanders. This drove participants to pose the question, “what do we need to do to prepare that soldier for the battlefield of 2050?” Grubbs said. Soldiers today are being educated in generally the same way officers and leaders have been educated for decades in the past. But the young person who is born in 2032 and becomes a soldier in 2050 is going to need to be educated differently. Software company Cerego, which has partnered with the Army on different pilot programs, is already helping the service move in that direction. What the company does is take classroom content — think PowerPoint slides, text, video and other information — and put it in a mobile form for use on a smartphone. Then, their analysis uses algorithms and methods to first test the user’s initial knowledge on the subject and then find their strengths and weaknesses. The program then acts like an individual tutor, tailoring the learning to the areas where the user needs to practice most, along with checking their retention of information in short, middle and long-range periods. 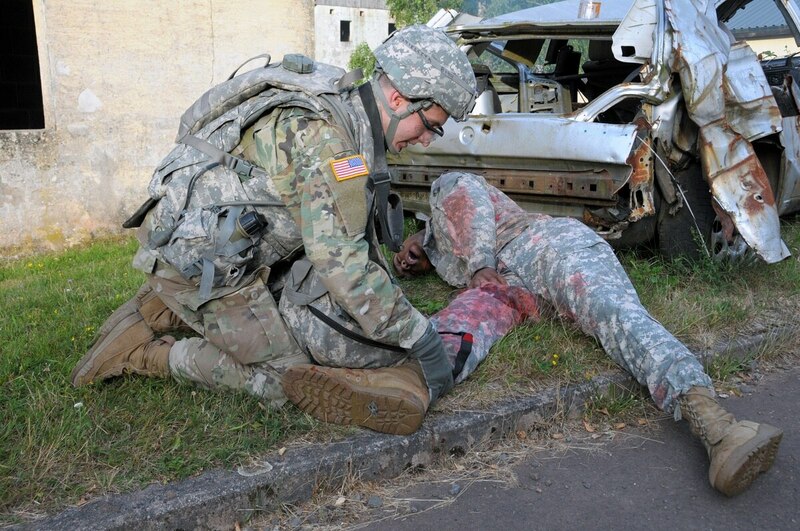 That’s a key factor in one major Army initiative: Tactical Combat Casualty Care for All Combatants. 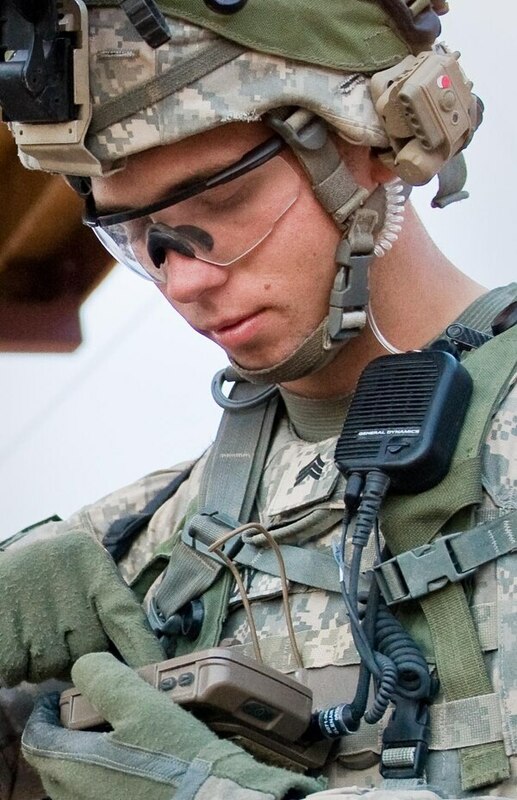 The TCCC program aims to have all soldiers go through medical training, to include basic lifesaving and how to use tourniquets and hemostatic dressings, and how to perform basic airway maneuvers. But while a soldier may learn the basic skills right away, if they’re not regularly practicing or refreshing their skills, how does a commander know if that soldier is ready to perform those tasks six months later when it matters? Cerego’s pilot program took the classroom instruction portion of TCCC training and put it on the smartphone. The move cut training time by more than half — what normally takes 12 hours took 5.3 hours. On top of that, Andrew Smith Lewis, CEO and founder of Cerego, said the software presents information and then continually quizzes and assesses the user to get deeper insight into the most effective way for the user to learn. In a separate pilot, Cerego took similar materials from the Soldier’s Green Book, focusing on critical combat and life-saving skills. They gave the Cerego-based learning to soldiers in two rifle companies in 2nd Battalion, 35th Infantry Regiment at Schofield Barracks, Hawaii. Soldiers who used the software for an average of one minute per day saw a 13 percent increase in their scores. Those who averaged 3.5 minutes per day saw a 26 percent increase in their scores. But life-saving skills and TCCC take more than memorizing procedural steps. Those skills are specifically hands-on types of tasks. Smith Lewis said that the next step of Cerego’s development could include adding data feedback from sources such as the mannequins used by medics and soldiers to practice some of those medical skills. That data, Smith Lewis said, could be used to help zero in on which techniques the soldier is having trouble with and better focus training time on those tasks, while also gauging when the soldier should retrain those skills at various intervals.